Offering you a complete choice of products which include double locked flexible conduit, steel conduit pipes, stainless steel flexible conduit, ss flexible pipe, ss304 flexible conduit and 304 stainless steel flexible conduit. 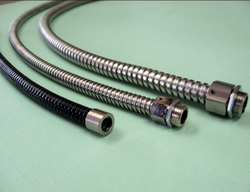 We offer a well-designed Double-lock Flexible Conduit. 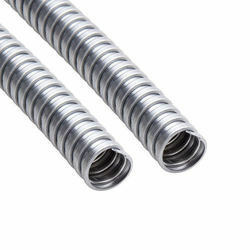 These Double-lock Flexible Conduits are helically coiled high quality metallic strips with double lock construction. Our range of Double-lock Flexible Conduit is made using copper coated steel, aluminum and stainless steel in different sizes and specifications. 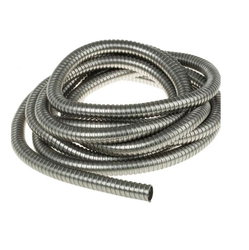 The strip of the Double-lock Flexible Conduit is formed with legs that interlock to form a hose that is flexible and ideally suited for conveying dry bulk. Double-lock Flexible Conduit that we provide can bear temperature up to 800o C.
We are a company which is engaged in the manufacture and the export of a wide range of product which are inclusive of a high quality of Steel Conduit Pipes which are available in a range of sizes, dimensions and they have a very sturdy make and they have been priced at very reasonable rates in the market. These products have been made using a high quality of raw materials which have been bought from reliable vendors and they are used for a wide range of applications in the market. 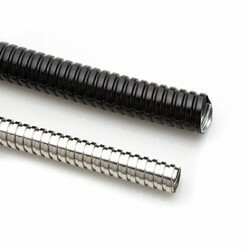 The Steel Flexible Conduit, which we offer, is basically used for fire preventing coatings. Further, no specific precautions are needed during the installation of these Steel Flexible Conduits. In addition, we can cater to the specific requirements of clients while designing and manufacturing these Steel Flexible Conduits. The constitute of the Stainless Steel Flexible Conduit Steel Sheet has dispersed chromium 10.5 to 11%, therefore there are no chance of the corrosion.SS flexible conduit used for many purposes like Buildings, Monuments, Automobiles, as well as the Chemical & Machinery industries. Manufacturing units (produced Hazardous product). Our company excels in offering Flexible Pipe to the clients. This product is made by professionals as per the set industry standards using high grade material. This product is widely acclaimed and demanded by clients for its high strength and heat resistance. 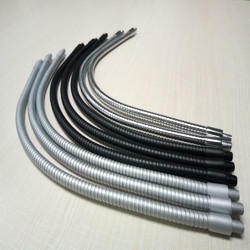 We are offering 304 Stainless Steel Flexible Conduit. 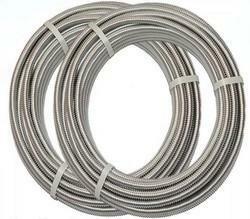 Looking for Stainless Steel Flexible Conduit ?